Chipmunks music deterrent 'cruel' Jump to media player Alvin and the Chipmunks music played as a means to deter rough sleeping at Bournemouth Coach Station is labelled cruel and "like Guantanamo". Free cardboard beds for homeless Jump to media player A primary school teacher from Wolverhampton has designed flat-pack cardboard beds for homeless people which he's giving away for free. Homeless and living on a beach Jump to media player After his partner died and he lost his home Kevin spent months living on Ramsgate beach in a tent. 'Homelessness on the rise' in London Jump to media player The number of Londoners with nowhere to live or facing eviction is increasing, figures show. Come to Bournemouth Coach Station at night and you will hear non-stop squeaky Alvin and the Chipmunks songs coming out of ceiling speakers. It marks a change from the bagpipe music which has been used for the past six weeks between midnight and 06:00. 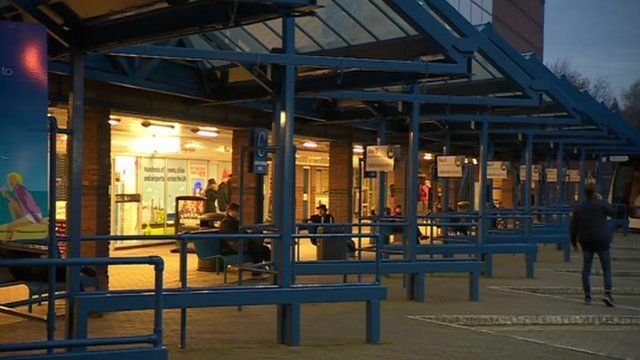 Bournemouth Borough Council said the music was part of a wider strategy to deter anti-social behaviour and rough sleeping, which could cause waiting passengers to feel intimidated. But resident Aron Kennedy who recorded the music said: "The only way I can describe it is like how people are held at Guantanamo Bay. "If they're laying down in their sleeping bags and they've got this constant music going through their head, it'll make them go insane." Residents called the scheme "cruel and unnecessary". Dorset Police said following public feedback it would be reviewing the scheme alongside the council.